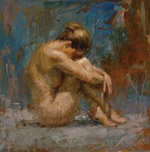 Contemporary painter Henry Asencio is a master of painting the female form. He is naturally drawn to paint the human figure for its timeless sensitivity. His work blends classical ideas of figurative painting with a unique contemporary style, reminiscent of the Impressionists. He works with either live models or photographs, seeking to portray his female figures as strong and contemplative. 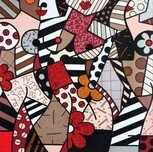 He paints in a very aggressive and loose style, often painting with a palette knife. The artist states, "Painting for me is very cathartic, and is the most articulate way for me to express my passion and internal dialogues." Merging introspection and visual spectacle, Henry Asencio's personal investigations of femininity, spirituality, and abstraction possess the power to transform today's ideals of elegance and contemporary sensuality. 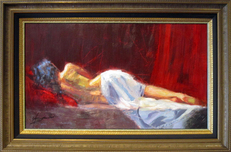 In 1996, Henry Asencio was sponsored by art supply company Thayer and Chandler, which enabled him to participate in exhibitions as far as Germany and Paris. In 1998, his work was recognized in an art competition in Amsterdam, where he achieved the distinction of being a first-time artist dually awarded with gold and silver medals, in two separate divisions: self-portraiture in oils and work in acrylic medium. 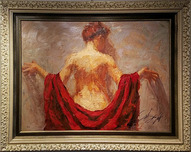 Excellent in his chosen discipline, Henry Asencio graduated with honors from the San Francisco Art Academy in 1999. He was even a chosen finalist in The Artists Magazine competition that same year, again for his work in portraiture. 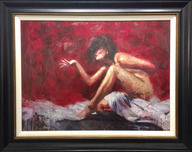 Although Henry Asencio earned a living as a portrait artist early in his career, today he is more concerned with creating a mood and pushing an aesthetic than achieving a true likeness. 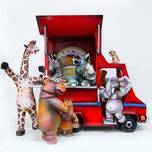 He refers to the current content of his work as sublime figures with aggressive application. He proclaims an admiration for artists who have chosen their own paththose who are inspired to follow their muse. This is the path Henry Asencio has chosen for himself as a fine artist. Inspired by the works of British artist Lucian Freud, the grandson of Sigmund Freud, he claims his work of the flesh is unsurpassed. 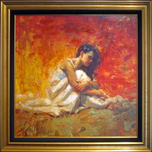 Henry Asencio is also motivated by the unbelievable vision, work ethic, and unrelenting passion of Pablo Picasso. Other notable inspirations include Willem de Kooning, for making every stroke of the brush different, and Gustav Klimt, for making decorative painting with integrity. Henry Asencio paints from his studio in San Jose, California, inspired by women, life, experience, and nature. Using life as a vehicle to produce his art, his work translates an impulse into his own reality, on canvas and other surfaces. He has recently begun to paint on board, as the surface is more resilient to his aggressive paint style. 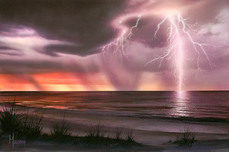 The artist prefers to work in oil as nothing compares to the richness and work-ability of the oil medium, and "It fits my technique perfectly." 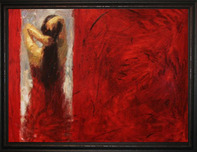 Henry Asencio's work is in such high demand, it takes him at least 9 months to complete an original. Watch this quick video and learn more about the inspiration behind Henry Asencio's "In Bloom" release. This was created for the American Heart Association and the "Go Red" campaign!